Our main goal is, we feel that if you're educated on the issue, if you know more about it, you are de facto empowered. Knowledge is only the first step. Investigative comedian Adam Conover isn't content to allow ignorance to be bliss. He firmly believes in uncovering the truth behind even the most mundane of life's habits, process and functions, claiming if you know something more about the world, it gives you more control of your surroundings. Of course, he's a comedian first and foremost, so his findings and debinkings on his popular truTV series 'Adam Ruins Everything' are often wildly hilarious, uncovering the silly side of cultural norms and popular assumptions. 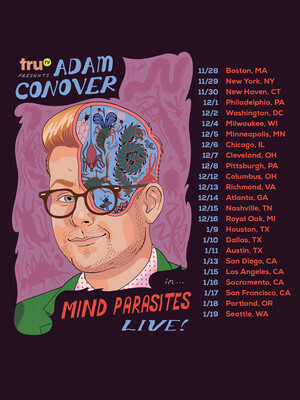 Don't miss Conover's distinct blend of comedy, history and science when he hits the road with his brand new live show Mind Parasites! An hour of fascination awaits audiences, who'll be treated to brand new, never-seen-before gags about some of the weirdest creatures in nature and their counterparts - cultural parasites that we are unwittingly controlled by. This is intelligent comedy that'll provoke your thoughts whilst simultaneously eliciting belly laughs. Seen Adam Conover? Loved it? Hated it? Sound good to you? 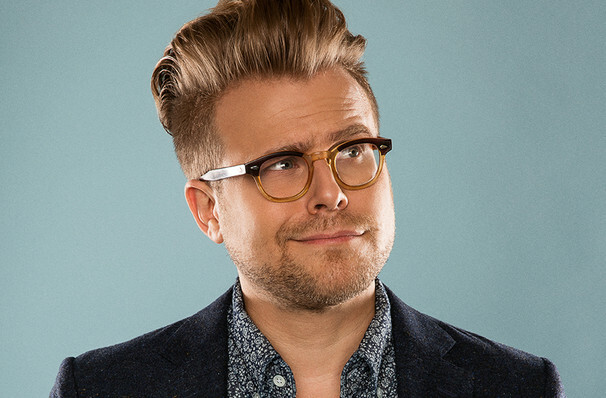 Share this page on social media and let your friends know about Adam Conover at Lincoln Theater. Please note: The term Lincoln Theater and/or Adam Conover as well as all associated graphics, logos, and/or other trademarks, tradenames or copyrights are the property of the Lincoln Theater and/or Adam Conover and are used herein for factual descriptive purposes only. We are in no way associated with or authorized by the Lincoln Theater and/or Adam Conover and neither that entity nor any of its affiliates have licensed or endorsed us to sell tickets, goods and or services in conjunction with their events.